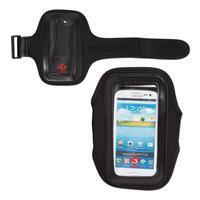 Our arm band phone holder is an ideal promotion for fitness clubs and health & wellness companies. Universal pocket size fits most phones. Just slip your phone into the slit, attach the phone holder to your arm and take your music on the go! One location imprint only. Imprint on clear/plastic cover. 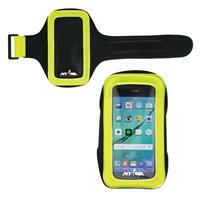 Our reflective arm band phone holder is an ideal promotion for fitness clubs and health & wellness companies. Universal pocket size fits most phones. Just slip your phone into the slit, attach the phone holder to your arm and take your music on the go! Reflective material makes it great for use at night! One location imprint only. 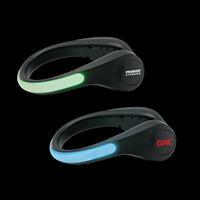 This new fitness item is great for night-time runners, walkers and bikers. 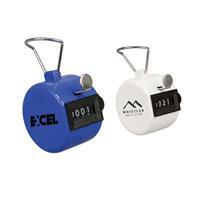 Shoe safety clip lights available in Green (S1128X) or Blue (S21172X) light and is weather resistant. Comes with two light up fuctions, steady and flashing. 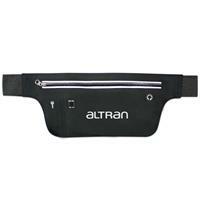 Your next marketing campaign will be in great shape with our new Exercise Bands. The bands stretch and help with various exercises including many yoga poses and feature locking handles for easy storage. 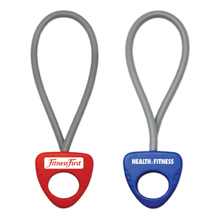 Available in blue and red, your company name or logo can be imprinted on the handles making your brand visible for years to come. 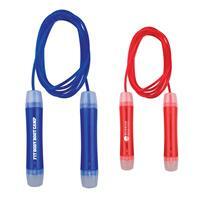 These exercise bands are the perfect giveaway for gyms, yoga studios, tradeshows and fundraisers! 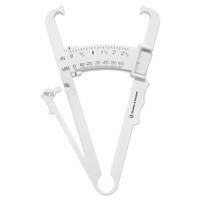 Body Fat Caliper that is made out of plastic. Measures in inches and millimeters. Comes in the color of white. Item Size: 6 1/2" x 4". 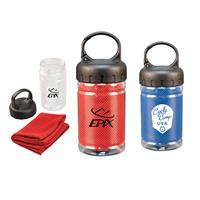 Keep your promotion cool with our new Cooling Towel. These towels are the perfect giveaway for gyms, yoga studios, tradeshows and fundraisers! Jus tadd water and within 20 seconds it will activate and drop 16 degrees F from surrounding air. Lasts 1-2 hours. Available in blue (S21209X) and red (S21208X).